Goa is a unique destination that allures you. A desire for those who have not yet visited and an addiction for those who have seen the magic it creates on you. 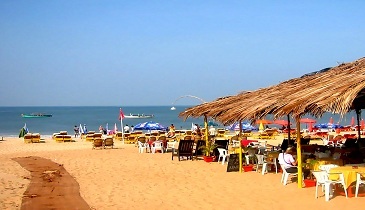 We bring you a fun filled vacation to Goa for grabbing many more moments. Rave in the exclusive Goan nightlife, enjoy the local shopping markets, relish the seafood or the coconut dishes, enjoy the water sports and have unlimited fun on the beaches. Have a memorable vacation at Goa with your loved ones. If cancellation is made any time not less than 30 days prior to departure, Rs. 9,000/- (per person) shall be deducted. Book My Travel https://online.bookmytravel.co.in/ IT’S ALL ABOUT TRAVEL!! !